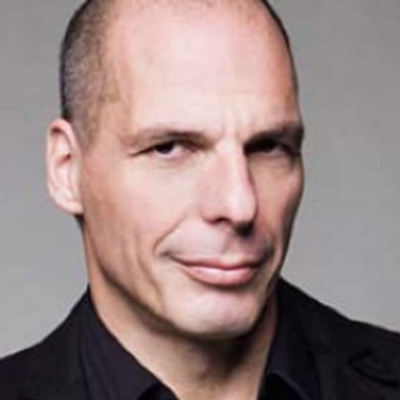 Greek Finance Minister Yanis Varoufakis, from his twitter account pic. No, I’m not kidding. The immediate problem is that Greece has a big lump-sum payment due in June for the financing agreement previously forced on them. The €6.7B that comes due is something they simply cannot handle at this time, and they are sounding the alarm bells before there is a problem. That’s where the four month window comes from. They are being responsible. The longer term problem is the debt, which at face value is 175% of GDP. But the terms of this debt has been restructured so heavily that it cannot be considered at face value any longer. One investor who bought up a lot of it at fire sale prices, Paul Kazarian, believes that it has already been written down by about 90%. 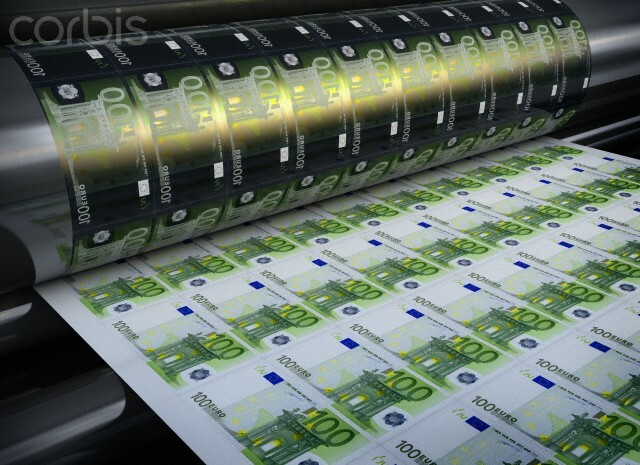 If you take that into consideration, Greece is by no means bankrupt – it simply has a short-term cash flow problem. The solution to the Greek debt is, obviously, to cancel much of it and push the reset button so that the nation can move forward. Why doesn’t that happen? The long answer is that it’s impossible in the current arrangement. The short answer is that it already happened. More to the point, the Greek government is holding a lot of equity in banks and other businesses that they are supposed to privatize, or sell off to the public. 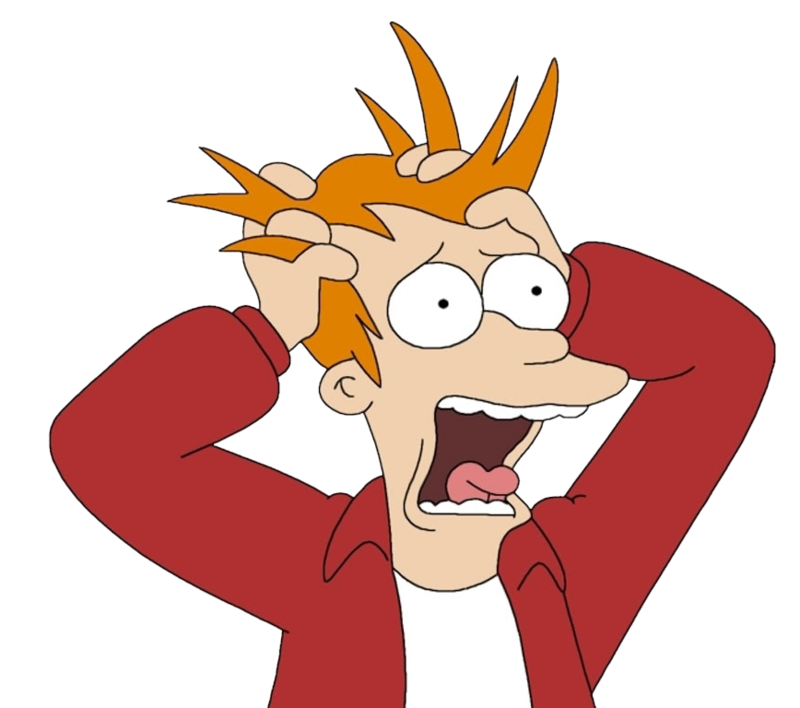 That was supposed to cover the lump-sum payment that comes due this year. The new government believes that if they hold onto it until there is a recovery it will be worth much more and they will be in a much better position. The US did as much when it bought GM and stock in several banks at the height of our own crisis. Iceland also nationalized its banks and held onto them until they were secure. Greece is asking for permission from the EU to do nothing more nor less than what any other sovereign nation does in a financial crisis of this kind. It has only gotten to the point that it has because no one has any faith in the Greek government – either the old one that created the mess or the new one that has to deal with it. Panic doesn’t help anyone. But when the EU isn’t fudging, that’s what they are doing. There is an obvious third way to handle the situation. No one really wants Greece to exit the Euro because it would create panic and confusion for everyone across the Eurozone. It’s a marriage of nations who are now bound to each other. If they all behaved that way, the nations who are pressuring Greece would give them support, not demands, and help them achieve the expertise necessary to manage the situation on their own. Instead, Greece has a series of dictats telling them what to do. In this family, they are not adult partners but children. What should Europe do with Greece? What is being done now is setting a precedent for economic problems and national mis-management for the future. It’s a horrible way to handle the situation and does absolutely nothing to convince Greece – or any nation – that the EU is indeed an equitable arrangement worth staying in. If you believe that Greece is bankrupt, the solution is to bring in people from the outside to run the operation while the nation keeps on. Think of it like the FDIC, which swoops in to stop a bank failure here in the US. The problem is that sovereign nations don’t work that way and you can’t simply take them over. Greece needs help, yes, but it has to do this on its own terms. Europe is muddling through this latest situation because it has to. It kicked the can down the road to 2015 and now it has to deal with those decisions. Greece, apparently, knows better and wants to develop its own plan. They need to do that, and that plan needs to then be evaluated on its own terms. Four months may be enough time to do that. This agreement? It may be the best thing to happen to Greece and Europe yet – if the powerful nations manage to finally treat Greece like a real partner and not a problem. This entry was posted in Money, Nooze and tagged bonds, current events, debt, Economics, economy, EU, Greece, journalism, Politics. Bookmark the permalink. I think it will be. They need to be treated properly, and that appears to finally be happening. I can’t blame them for being a little resistant to the options they were presented with before. Especially after reading your posts. It’s going to take awhile before Greece is able to become stable so the rest of the EU needs to exercise a little patience with them. Doesn’t he look like someone you just wouldn’t want to mess with? I think the Eurocrats have finally met their match. It’s been clear all along that Europe has been haphazard with this all along. If they want to instil confidence they should just act to get it over with. Yes, that is the whole point. Dragging it out doesn’t help anything. I remember a story from the one bank that survived the bank panics in the 1920s. The first day they made everyone wait in line, and the line grew. The second day they realized they were making it worse, and gave everyone their money quickly. No line formed. With no line, the flow of people demanding their money stopped, and some of the people from the previous day came back. Confidence is the key, and Europe has done nothing to create that. So they don’t trust the Greek government – they need to get that government to the point where everyone trusts it and Europe has their back. Europe is just a mess. They have no right to dump on Greece. It looks to me like Greece has it’s (feces) together much more than Europe does right now. That would be the method that the EU uses. The assessment of those bonds is correct. I don’t know if they are worth 10% of face value as the buyer claims but they are certainly not worth face value. The terms were renegotiated and they have to appear on the books at a substantial discount. I doubt that the EU regards them as anything else but the media reports this as if Greece is still under the gun for the whole amount. They aren’t. Good call. Thanks. The more I consider this and read the horrible job the press is doing the more outraged I am. Greece went to the EU on their knees and asked what they had to do. Now they have a new government that is standing up and doing something proactive. It’s not being reported at all. The write-down (not a “haircut”) on the bonds is a big part of the story. Greece went to the EU and asked what it had to do. The EU told them and now Greece is regretting it. The government is not doing anything productive, merely holding the rest of Europe to ransom and in doing so making the possibility of a Grexit more likely. Greece wants the best of both worlds, namely to spend money that it doesn’t have without any hope of repayment and then when the time comes to pay it back, it refuses. How can that be considered to be productive? Perhaps I was too hard on the EU. I agree that under the last government Greece went in on their knees and asked what they had to do. But things are different now with Syriza in charge. Will it be good enough? At least Greece has a Greek plan to deal with it, and both sides appear to be talking about a real, permanent solution. It’s good, but it will take time. Totally agree about the inequitable treatment that’s going on. The European Union is supposed to be just that – a union, not a parent-child relationship, as you point out. I think this is a prime example of why the Euro arrangement is fatally flawed. You either have to be 100% committed or not and it’s clear from leadership’s current behavior that plenty of them would be willing to force a Greek exit – not exactly the definition of union and commitment. I am starting to agree that, in the past, Greece has acted like a petulant child. If things have really changed then they deserve better. Reform of their tax system so that the government actually raises the revenue it needs seems to be the key. If they can pull that off they deserve a chance to do this on their own terms, IMHO. If nothing else they will finally have the ability to do so. It is unfortunate that more attention (globally) is not being paid to the multiple alternative economies that have been sprouting up and functioning (successfully, on a community-level) in Greece since the onset of this ‘crisis.’ This might be one of the more analytically important and pragmatically applicable take-aways from this downturn in capitalist economics. Again, and I have posted to this effect on this (awesome) blog (keep it up Erik!) that the ‘economics’ we tend to consider actually has very little practical impact/value on the majority of (western) people/citizens. The Greeks are giving us fantastic insight into a post-international economical world that, for those of us wondering about the realities of austerity, might want to take notice of. Can you tell us more? Links? I am assuming that given people’s ability to adapt to any situation and a genuinely free market that always springs up in some limited form no matter what there have to be fascinating crisis stories, yes! I’m not sure about “post-international” – the world is always going to have a global component now that trade is set up the way it is. But a balance with local resiliency and sustainability will mark the difference between a developed economy that works for everyone and an exploitive economy that enslaves. I would want to know what kind of genuine market springs up to create that, yes, because it seems to be the key. Can you tell us more! Always interested. I can’t say I have anything other than observations from halfway around the world! For the most part, a localized barter system seems to be the most favoured and, judging by what Greek friends tell me, are focused more on mutual benefit than personal gain. Fascinating, given our capitalistic attachment to the self. As a bit of clarification by what I meant in ‘post-international,’ let me just say that I mean ‘post-‘ in the sense of focus. Through the 20th century, until now, we posit our economic systems on the maintenance of an international system of commerce that has been sold to us as something ‘new.’ The Greek example seems to suggest that there is something that can exist past this focus, and that international networks (none of which are new, see Timmothy Brook’s ‘Vermeer’s Hat’ for an interesting discussion on pre-modern international trade) can exist even if they cease to represent ‘the end all be all’ of capital exchange. Gotcha. This is very good stuff, and thank you! There’s a lot to digest here. I’m worrying more about macro-level effects of the economy (dare I say, “post-industrial”?) today but this fits into it very well. I just finished watching a really good lecture by Prof. Richard Wolff on this subject. It was quite good, albeit a little basic. I think this is a topic that needs a return to the basics. The press seems to assume that we know all about it, but over the many years people don’t remember the details as to how we got here. Seems wishful to expect dinner from a bunch f frogs able to jump out of the warming cookpot. More wishful yet for Greeks and Latins to expect German benefit levels while refusing to live like Germans. They appear to think that somehow, Germany owes it to them. Germany lost the war but has won the following economy; it is not about to bear the self-imposed burdens of the rest, seems to me. And it too owes too much. Perhaps it must all come down before people face reality? Greece is confronting this reality – but only time will tell us how much they are willing to get to work and be a bit more like the Germans they now loathe.